The care of nurses doesn’t have to be limited to clinics and hospitals. 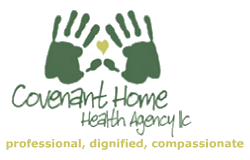 You can experience them from home through Covenant Home Health Agency’s skilled nursing services. Our nurses come from diverse backgrounds but have one thing in common, an absolute devotion to home health care. Continuing education in state of the art nursing skills is a part of the expectations we have for our nurses, recognizing that warmth, kindness and deication are just as vital to a healing relationship. With all the warmth, experience, skill and dedication you can expect from hospital nurses, Covenant Home Health Agency LLC is here to provide you with the best and right people for the job. Call us at 614-522-0521 to know more.